The Kansas Association for Healthcare Resource and Materials Management is an organization open to persons professionally engaged in health care resource management, materials management, group purchasing organizations, other health care related settings and health care distribution and marketing or sales organizations. Members are offered educational programs, networking and the opportunity to serve local and worldwide humanitarian projects. 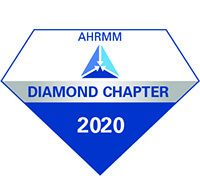 For an additional fee, members also are offered membership in the Association for Healthcare Resource & Materials Management, a national organization for health care resource and materials managers. More information about KAHRMM can be found below. If you have questions, please contact any board member or Bruce Frerking, KHA liaison, at (913) 327-8730. Assisting members through training and mentoring opportunities that promote excellence. Establishing proactive, collaborative partnerships through networking. Keep up-to-date of all of the current events and KAHRMM news. KAHRMM published their newsletters monthly.